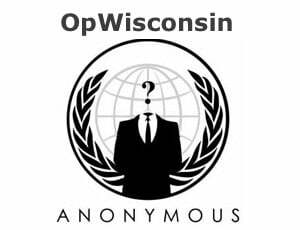 Everyone’s favorite loose-knit group of “hacktivists,” Anonymous, have allegedly launched a new campaign of disruption: Operation Wisconsin. This round, the shadowy cyber-vigilantes plan to take on libertarian billionaires David and Charles Koch, who own Koch Industries, for their support of Wisconsin’s union-busting governor, Scott Walker. According to the press release, members of Anonymous are “actively seeking vulnerabilities,” presumably of the network and computer variety. 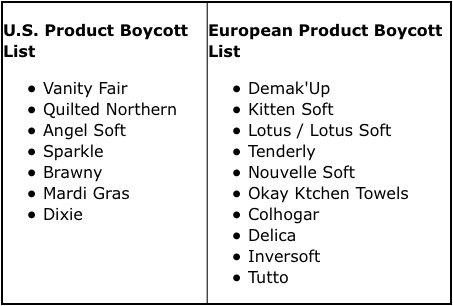 Until such vulnerabilities make themselves apparent, says the release, supporters of Operation Wisconsin should boycott all products that fall under the massive Koch Industries umbrella. So far, Koch Industries’ digital properties appear to be up and running properly, save an intermittent outage of the Americans for Prosperity website late Sunday. It should be noted, however, that just because a press release claiming to have been written by Anonymous appears on AnonNews — which is open to anyone who wants to publish something — doesn’t mean the group or its members have actually coordinated an attack. Anonymous has already successfully taken down the corporate sites of Visa and Master Card, as well as PayPal, after those companies stopped processing donation payments made to anti-secrecy organization WikiLeaks late last year. The group performed similar take-downs of governmental sites in Yemen, Egypt and Tunisia, in order to help protesters in those countries. Most recently, Anonymous obliterated the reputation of cyber-security firm HBGary after executives of that company attempted to infiltrate Anonymous’ ranks. Whether or not their tactics will work against Koch Industries remains to be seen — but you can guarantee we’ll be watching. JPMorgan looking to buy 10 pct of Twitter?